I saw a photo of flaky cut out biscuits that were very tall and decided to try that new biscuit recipe. The gluten free version does not look exactly like the photo of the wheat ones, but they taste scrumptious and have a nice light texture. I love the flavor of these biscuits and they look so pretty. 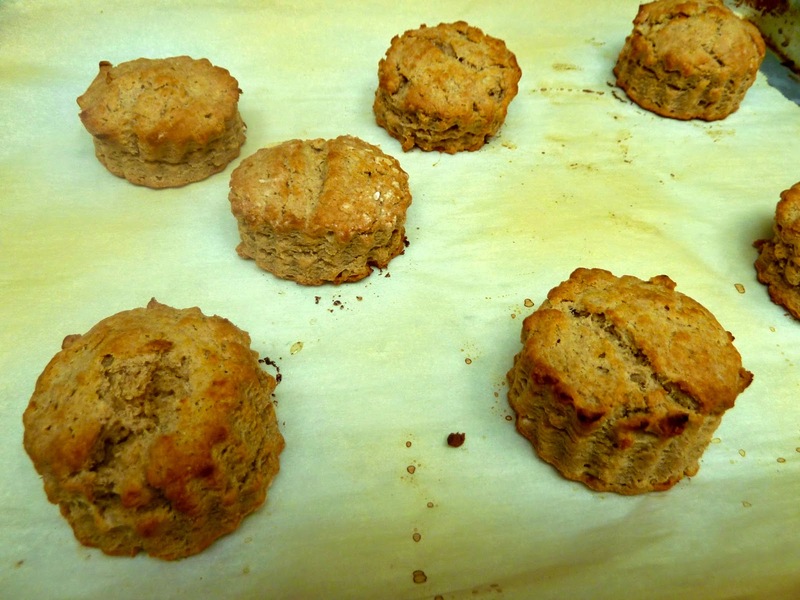 My usual biscuit recipe is for drop biscuits, which are also light and delicious. Both recipes are easy, especially if you use a food processor to cut in the butter. I prefer to use the food processor, not only because it is so easy and fast, but because the butter stays cold after being cut into the flour. 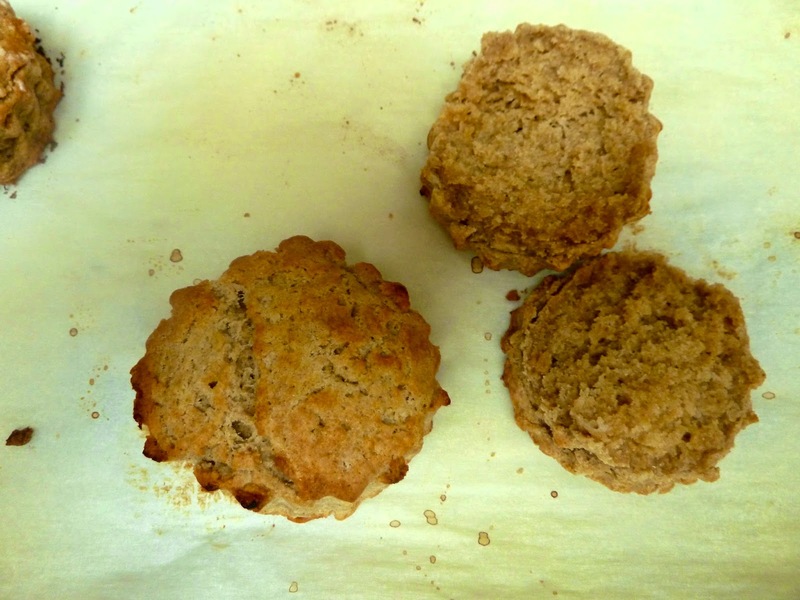 Cold butter equals flakier biscuits. I was happy with how glitch free it was to roll and cut these out. Usually, GF dough is too wet and soft to work with in this manner, but not this time. It may be the recipe ratios or it may also be that I accidentally used a 1/3 cup measure instead of a 1/4 cup one when measuring out the teff and chickpea flours. The extra 2-3 tablespoons of flour may have made the dough drier and easier to roll out and cut. I am posting the recipe with the extra flour measurements that I actually (though unintentionally) used. Recently I have discovered that I love the taste of teff in breads and biscuits. Teff imparts a whole grain flavor similar to the whole wheat and multigrain breads I used to prefer or at least close to what I can recall those breads were like. 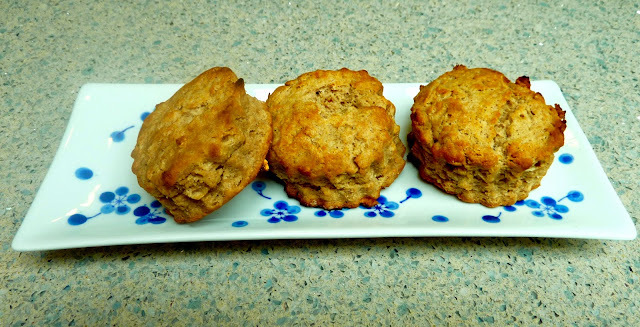 I used some teff in this recipe and I love that the biscuits are so flavorful. If you have to use non dairy ingredients in this recipe, I suggest that you use half margarine and half non-hydrogenated shortening or 100% shortening. Most margarine has a higher liquid content than butter and throws off the texture in recipes. I find that using half margarine and half shortening results in a better texture. Using all shortening would probably result in the texture most similar to butter, but not as flavorful. They do sell butter flavor shortenings. I like the Spectrum brand since it is non-hydrogenated, vegan and organic (ergo non-GMO). Biscuits are great when you want something bread-like fast. Easy to mix, fast to bake and totally yummy. Preheat the oven to 450℉. Line a baking sheet with parchment paper or a silpat pad. In a bowl add the flours, salt, baking powder and xanthan gum and mix well with a whisk. Cut the butter into pieces about half a tablespoon in size and add to the bowl with the flour. 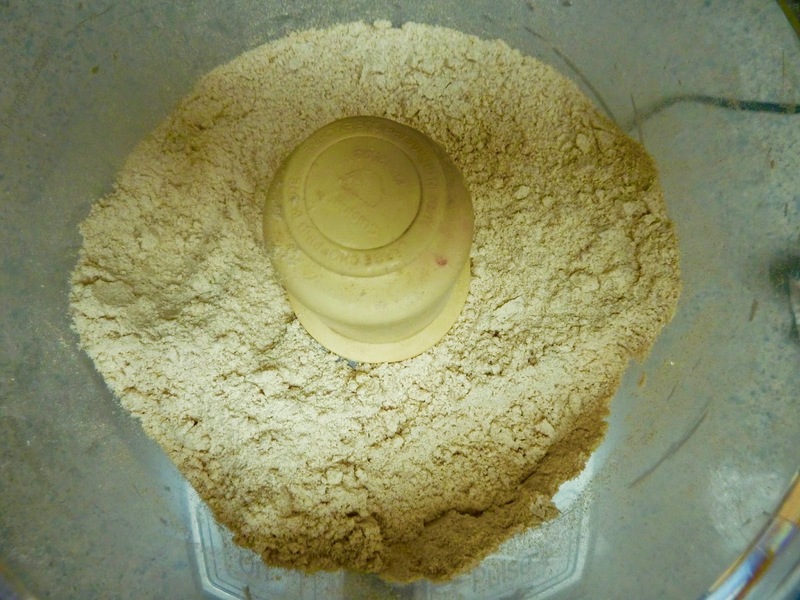 If using a food processor add the butter and flours to the bowl of the food processor. Butter cut into pieces and in the bowl of a food processor. Pulse the food processor several times until the butter is in various sized pieces about the size of a pea. If using a pastry cutter or two knives cut the butter into the flour until the butter is about the size of peas. pieces of butter, the largest about the size of a pea. If using a food processor, pour the contents of the processor bowl into a regular large bowl. Add milk to the bowl with the butter and flour mixture. Mix until just combined. Lumps are a good thing. The cold butter lumps help make the biscuits flakier and lighter. Milk added to the flour and butter mixture. Place a piece of plastic wrap on the counter top. Put the contents of the bowl onto the plastic wrap. Gather the dough into a rectangle that is about 1-inch thick. 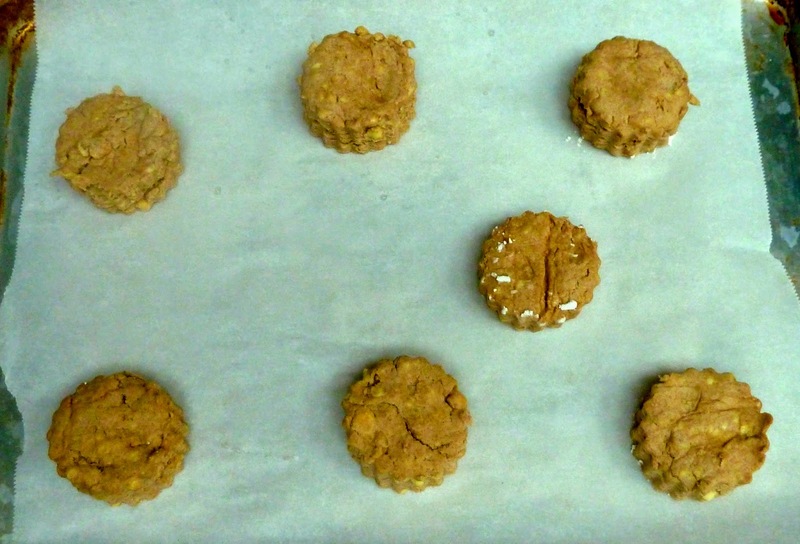 Using a biscuit cutter (I used a 2½-inch cutter) dipped in gf flour such as tapioca or sorghum, cut out the biscuits and place them on the prepared baking sheet. 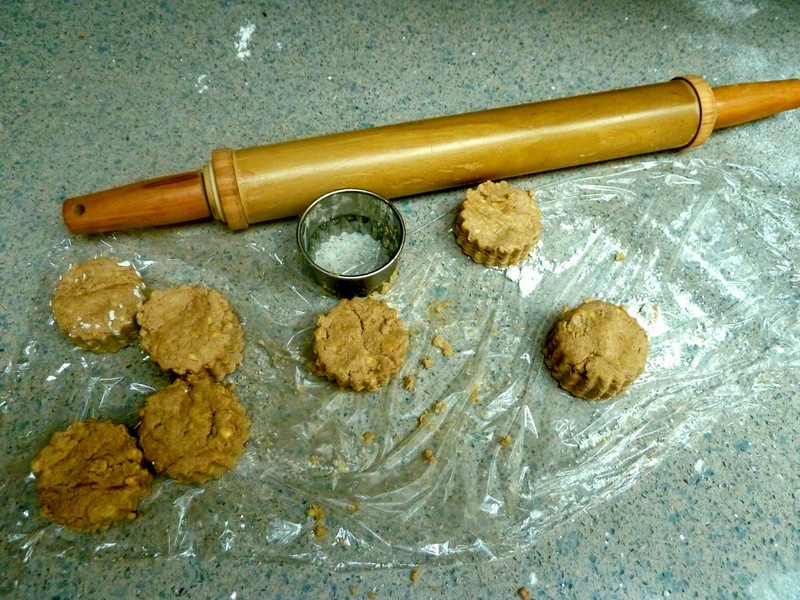 Dough rolled and cut out into biscuits with a cutter. Gather the dough scraps into another 1-inch thick rectangle and cut out more biscuits. Repeat until all the dough is used. Raw biscuits on the prepared baking sheet. Top each unbaked biscuit with a small piece of butter or margarine. Butter on top of the unbaked biscuits. Bake in the oven until lightly golden brown about 12-15 minutes. Baked biscuits, lightly golden brown. A closeup of the inside of the biscuit. GLUTEN FREE CUT OUT BISCUITS Makes about 8-10 Ingredients 1 cup Sorghum Flour 1/2 cup Tapioca Flour 1/3 cup Teff Flour 1/3 cup Chickpea Flour 1/2 tsp. Xanthan Gum 1/2 tsp. Himalayan Sea Salt 1 Tbs. Baking Powder 6 Tbs. (+ 1 Tbs. to top the biscuits before baking.) Unsalted Butter - cold For Vegan or Dairy Free use 3 Tbs. cold Margarine & 3Tbs. cold Shortening (non-hydrogenated) or 6 Tbs. cold Shortening 3/4 cup Milk For Vegan or Dairy Free use nondairy milk Directions Preheat the oven to 450℉. Line a baking sheet with parchment paper or a silpat pad. 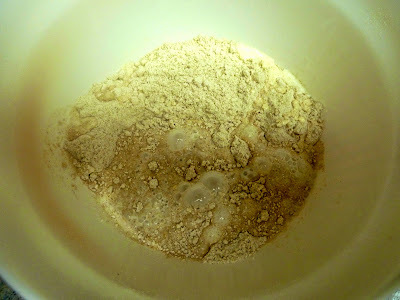 In a bowl add the flours, salt, baking powder and xanthan gum and mix well with a whisk. Cut the butter into pieces about half a tablespoon in size and add to the bowl with the flour. 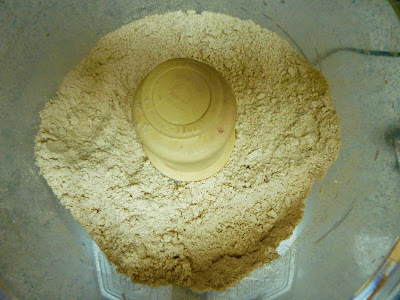 If using a food processor add the butter and flours to the bowl of the food processor. 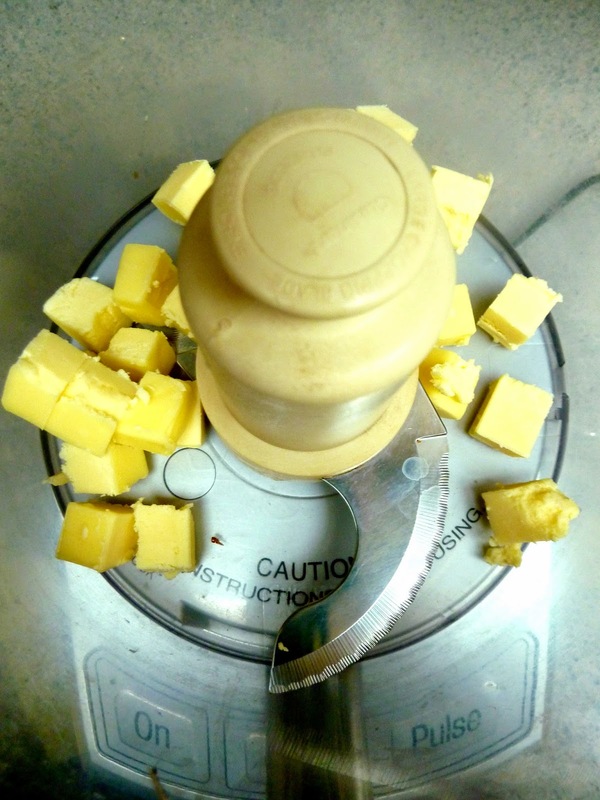 Pulse the food processor several times until the butter is in various sized pieces about the size of a pea. If using a pastry cutter or two knives cut the butter into the flour until the butter is about the size of peas. If using a food processor, pour the contents of the processor bowl into a regular large bowl. Add milk to the bowl with the butter and flour mixture. Mix until just combined. Lumps are a good thing. The cold butter lumps help make the biscuits flakier and lighter. Place a piece of plastic wrap on the counter top. Put the contents of the bowl onto the plastic wrap. Gather the dough into a rectangle that is about 1-inch thick. Using a biscuit cutter (I used a 2½-inch cutter) dipped in gf flour such as tapioca or sorghum, cut out the biscuits and place them on the prepared baking sheet. Gather the dough scraps into another 1-inch thick rectangle and cut out more biscuits. Repeat until all the dough is used. 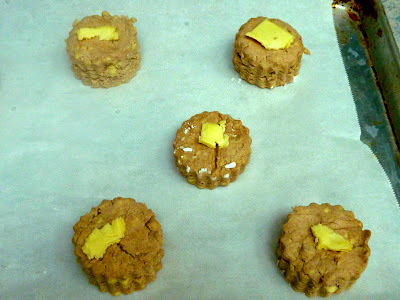 Top each unbaked biscuit with a small piece of butter or margarine. Bake in the oven until lightly golden brown about 12-15 minutes.